Depression is a very common mental illness. It is becoming a deeper concern in New Zealand, as well as across the entire world. 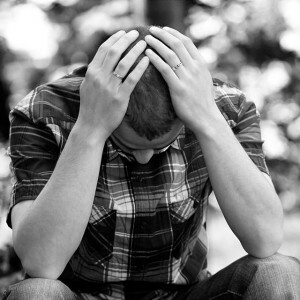 One in six people will experience serious depression in their life time. While Depression can affect people no matter their age, it’s most common in people between 25 and 45 years old. There are various things that can lead to it and sometimes there is no clear cause. Here are some things that can encourage depression and increase your risk of being depressed. Drug and alcohol use can also increase the severity of your depressive episode. Depression can affect people in different ways and often has a large effect on people’s lives; Sleep patterns change, relationships and employment becomes dramatically affected as does your appetite. Major Depressive Disorder – extremely low mood that is very consistent from one day to the next (dysthymia). Postnatal (postpartum) Depression – low mood, anxiety, feelings of guilt/anger/hopelessness, suicidal thoughts/behaviours within 3-6 months following childbirth. Bipolar Disorders – bouts of extremely low mood for an extended period of time, but then periods of mania (highly elevated mood with rapidly changing emotions). Shore Therapy has extensive experience working with all forms of depression. The Therapists at Shore Therapy work to understand and resolve personal or historical issues that may cause or maintain your low mood. The therapists also have behavioural skills to help with motivation and identifying aspects of behaviour that may be affecting your depression.